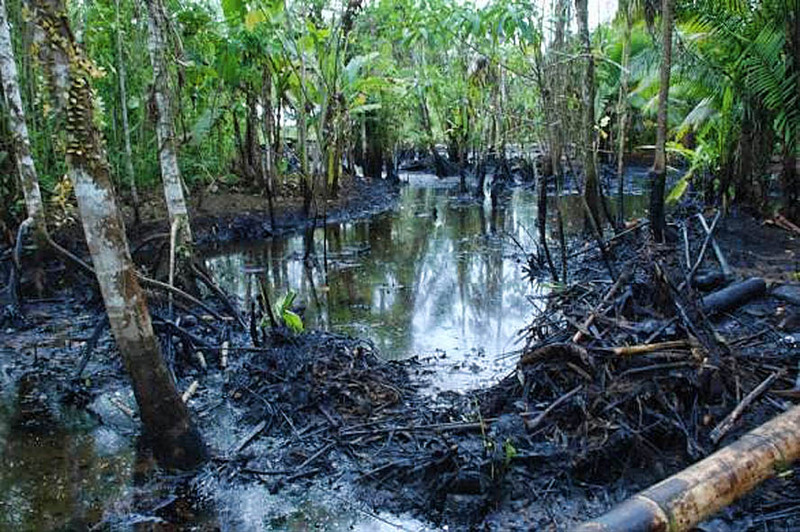 While Shell and BP are still making headlines with the environmental damage their operations have caused (and are causing ) in Nigeria and the Gulf- Chevron’s attempts to escape responsibility for over 30 years of environmental pollution in Ecuador have received little mainstream media this side of the Atlantic. According to the Ecuadorian State News Agency ANDES, Chevron has allocated USD $400 million to fight the validity of an Ecuadorian State court ruling of 2011. 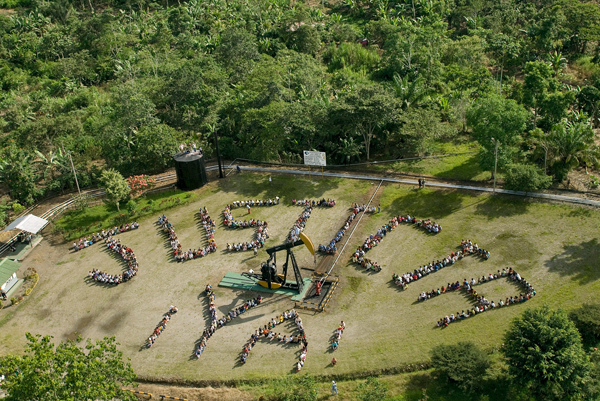 This ruling awarded a landmark USD $18 billion in damages to a collective claim from parties (some 30,000 individuals) affected by Chevron–Texeco’s operations in the Ecuadorian Amazon. 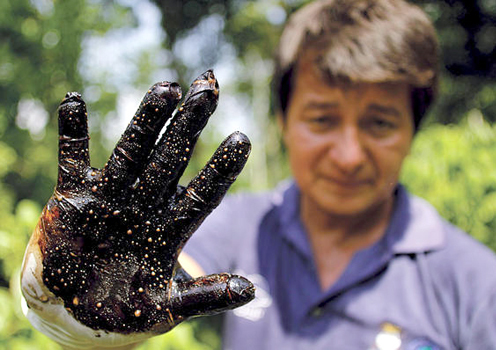 Environmental groups have put the total legal costs of this decades old legal case running at over USD $1Billion, while noting Chevron have spent only USD $40million on clean up costs in one of the worlds most biologically important areas. Compensation given so far to the numerous affected indigenous groups and farming communities after decades of legal wranglings?………Nada. 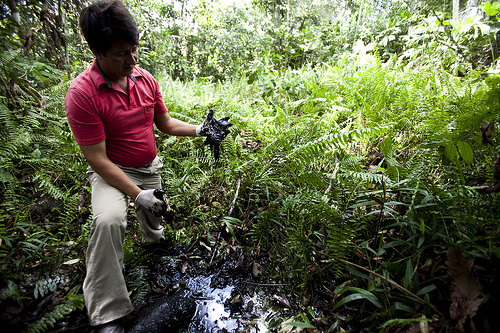 Chevron has also filed civil racketeering charges against the Ecuadorian plaintiff’s lead attorney Stephen Donziger in the New York courts, on the grounds of fraudulently influencing the Ecuadorian verdict – allegations that include ghostwriting court findings and bribing the judge. 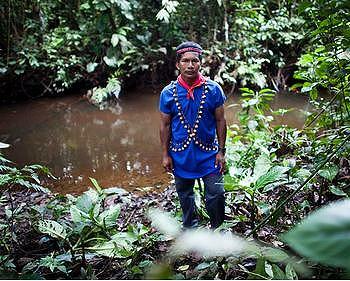 Highlighting the fragility of the Ecuadorian legal system against corporate legal attack it seems likely that the judge in question, Alberto Guerra Bastides, did indeed receive payments – including $326,000 from Chevron, after securing the judge’s signed affidavit attesting to the fact he had accepted bribes. The former judge now resides in Miami were he receives a $12,000 monthly salary from Chevron. With Chevron refusing to accept the legal decision of the Ecuadorian court ruling, attempts to seize Chevron assets have begun in Argentina, Brazil and Canada. Chevrons case against Donziger, which is due to start this month, will no doubt bring a number of allegations of corruption from both sides and is being described as one of the biggest cases in environmental legal history- involving over 2,000 lawyers and 60 law firms to date. With a further decision from the Hague tribunal expected in January, it looks like this legal case, just like the environmental pollution it left behind, is not going away any time soon. ← To Frack or not To Frack , that is the question…….